What IDEs ("GUIs/editors") do others use for Python coding? I don't mention basics like syntax highlighting as I expect these by default. This is a just dry list reflecting your feedback and comments, I am not advocating any of these tools. I will keep updating this list as you keep posting your answers. PS. Can you help me to add features of the above editors to the list (like auto-complete, debugging, etc.)? Not the answer you're looking for? 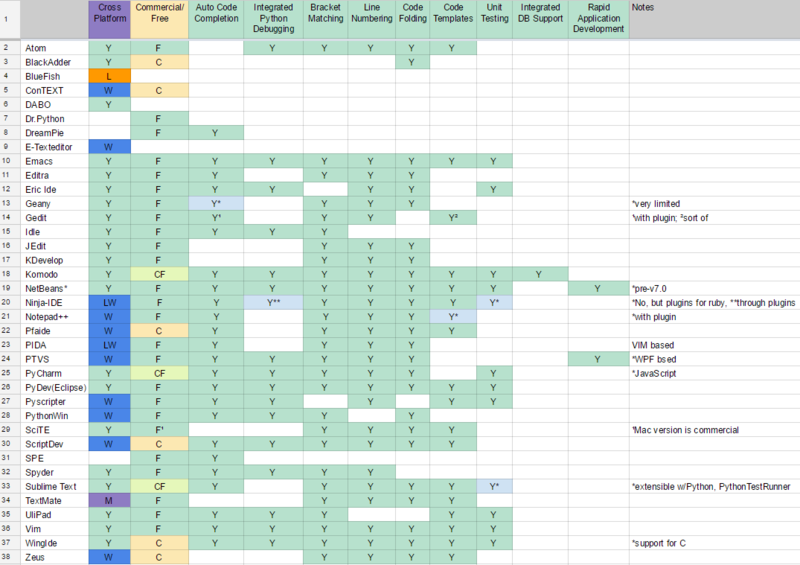 Browse other questions tagged python ide editor or ask your own question. Which editor/IDE should I use for Python? IDE for Python ( like Visual Studio with visual assist X )? Eclipse for Java is great! Is there an analogon for python? Recommend a python IDE to me! 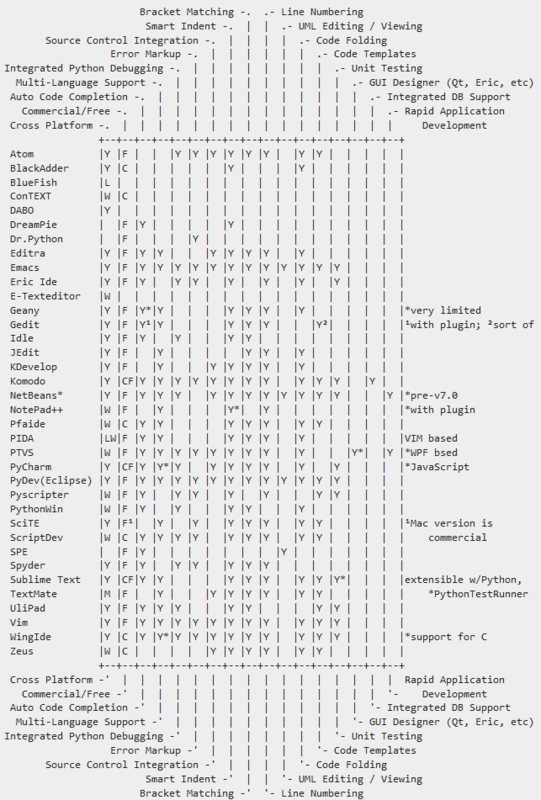 Which text editor for python development?